Pour out enough of the brandy to make room for the citrus zest. Add the zest to the bottle and recap. Let sit for 4 weeks, gently turning the bottle daily to incorporate the flavors. After 4 weeks: Carefully strain the liquid over a large bowl or container using a fine strainer to remove the citrus bits. Then, strain again through a coffee filter to further clarify the liqueur. In a small saucepan over medium heat make a simple syrup with the water and sugar. Heat until sugar is dissolved. Remove from heat and allow to cool. Add the simple syrup to the liquid and rebottle. Let sit for an addition 4 weeks, gently turning daily. Did you really mean 1 and 1/2 liters of brandy? Or should it be 1 one-half liter, 750 ml, aka a fifth? I also wonder about the same thing as Elyse Grau and why she did not get an answer to her question. It is very valid and makes a big difference. Can Vodka be used as an aternative to Brandy? will brandy change the colour as opposed to vodka, vodka being a clear alchohol? The good news is that you can do just about anything you want. It is fun to experiment and see how things turn out. I've done this with vodka instead of Brandy, and it is in my opinion not as good. The brandy imparts a richness of flavor, while the vodka does not... imagine a lemoncello, but with orange instead. Regarding color, the Cointreau is golden, but the Vodka Orange mixture is going to become more orange colored. My advice is to go crazy with your experiments and create several at the same time to compare. Try this for an unbelievably delicious variation: add clove, cinnamon, juniper and allspice to your mixture. Mmmm... Christmas! Cointreau is a French brand of triple sec, an orange-flavored liqueur, and is made from bitter oranges. If you are able to find bitter oranges use them in place of the oranges and lime. 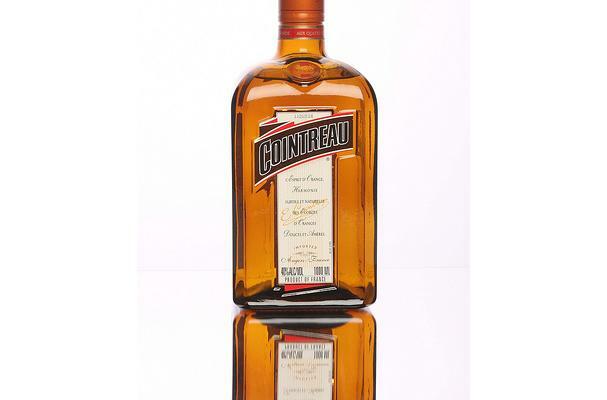 Cointreau is consumed both as an apéritif and as a digestif. Though stronger than a triple sec (which has anywhere between 15 and 40% alcohol), Cointreau (40% alcohol) is often considered either a triple sec or in a category of its own.